If you are like me, one of the things you promised yourself you could buy when in Japan is a traditional Japanese Kimono or Yukata. I found myself looking online before actually heading to Japan to find the best stores to get a decently priced Kimono offer, because even though I love the Japanese culture, I didn’t feel like spending all my money on a Japanese traditional outfit. However, this search did bring me to some stores, but it was the ones I didn’t know about before which actually got me even more excited and I eventually bought my kimono where I never expected to buy one. So if you want to buy a Kimono or Yukata, I will tell you the pros and cons of both outfits, so you can make your decision which one to buy and I will tell you where to get them without having to spend over 1000s of Euros/Dollars. 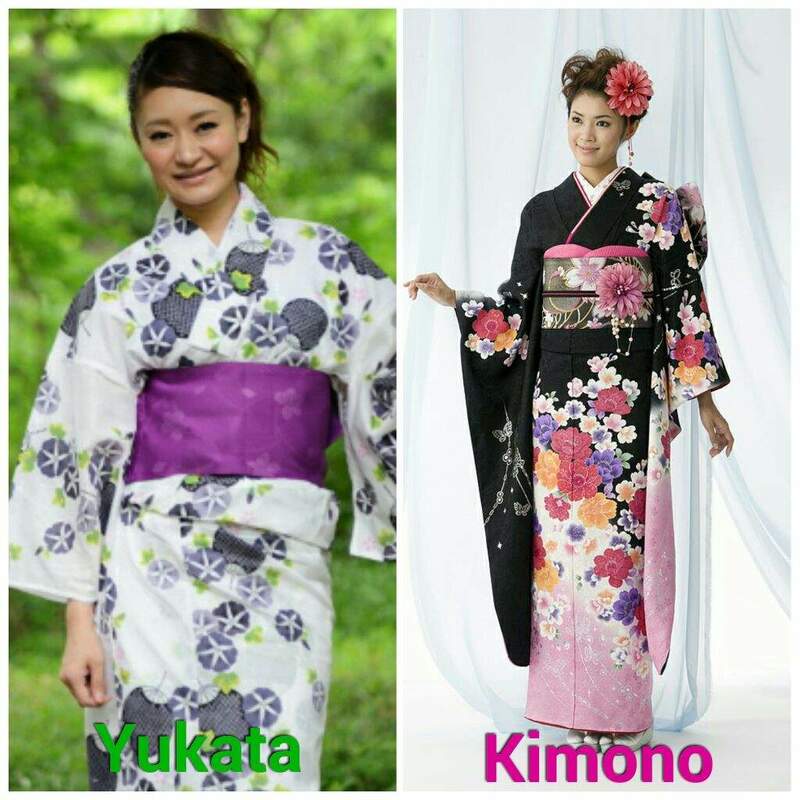 Question 01: Do you want a Kimono or Yukata? The original word: ‘Kimono’ means, ‘thing to wear’ and refers to all traditional Japanese clothing. 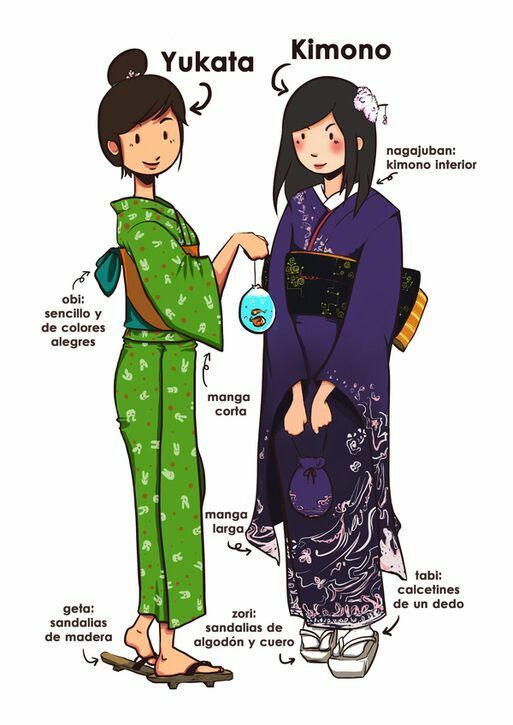 That’s why you can consider a Yukata being a form of Kimono. In ancient days the ‘traditional Kimono’ was worn often and is made of silk fabric. However in recent times, the Yukata is the outfit which is worn more often during Japanese festivals. These Yukata’s are easier to put on and a less expensive. The Yukata is made from cotton fabric and is lighter, easier to wear and is therefore a popular outfit to wear in summer. Some people might say the difference between a kimono and a yukata is the fact that you wear a Kimono in winter and a Yukata in summer. Pros: Traditional. Absolutely the ultimate Japanese outfit. Very beautiful and made with much detail. Made with silk. Pros: Less expensive. Lightweight. Easy to put on. Still looks very Japanese. More often worn on Japanese festivals than real Kimono. Cons: Not the ultimate traditional Japanese outfit. May be chilly in winter. Made from Cotton. One more thing, with Yukata’s you do not have to wear the traditional zori or geta (slipper shoes), while it is an (unwritten) rule you have to while wearing Kimono. This question is fairly difficult to answer, since most Kimono’s are hand-made and are made on request. Therefore it might be a bit difficult to get one during your trip to Japan. However, there are exceptions of course. The best way to buy a Kimono while in Japan is by visiting a ‘used clothing store’ called furugiya in Japanese. Another option to get a traditional Kimono is by visiting Flea Markets. 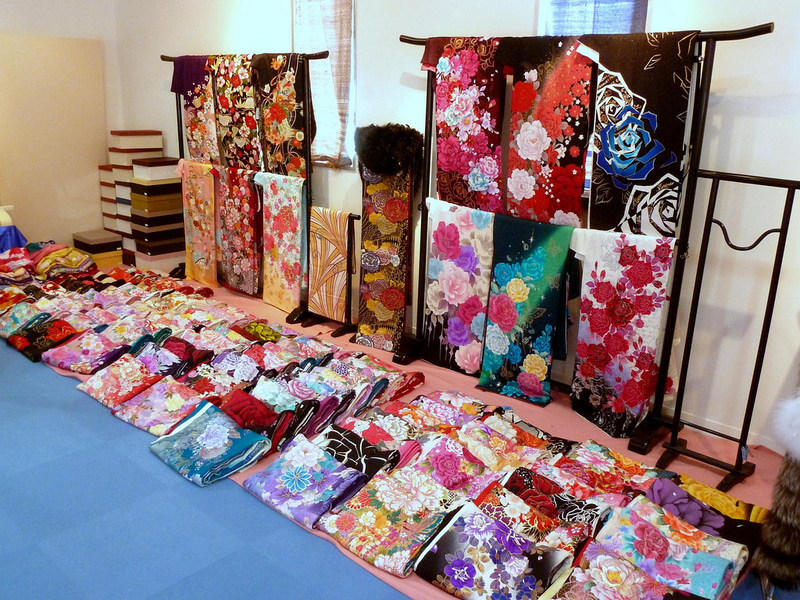 Japanese people sell their old stuff (and even Kimonos) for a decent price to others. It may well be worth checking out these places. The last place I recommend to get a Kimono is the Yanaka Ginza which is only a few minutes from Nippori Ginza. Here you can also look for a nice kimono. Note: Please be aware even secondhand Kimonos easily charge 100+ euro’s/dollars to buy one. Yukata’s are much easier to buy than Kimono’s since most are not custommade and they are sold throughout Japan. A reasonable Yukata (good enough for foreign standards) costs from 3000 yen to 5000 yen and another 1000 yen may be charged for the obi (most of the time, it is included in the price), so this does not break the bank as much as a kimono would. Although this is definitely not my favourite spot I have added it to the list to give you more a complete overview. Uniqlo also sells Yukata, fairly decently priced. However, since this is a big chain with lots of stores I would be afraid of buying something which isn’t as unique. Omotesando is known for their fancy shops and bazaars. 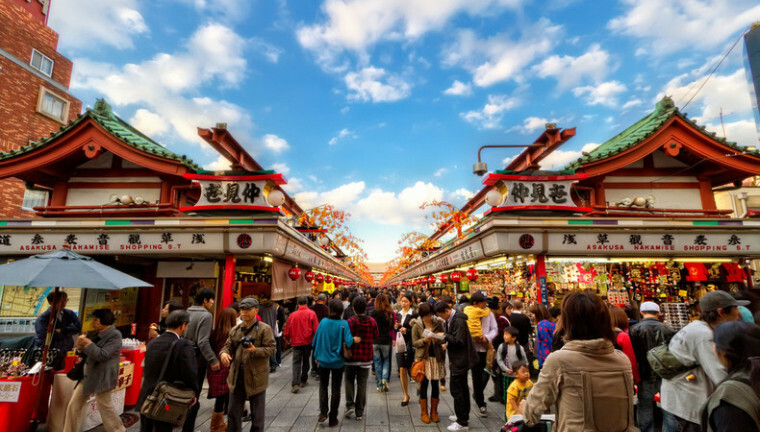 However, Omotesando also houses the Oriental Bazaar, a huge shop filled with Japanese souvenirs and a lot of market stands outside on the streetwalk. If you want a nice deal on a Yukata this is a good place to look. However, due to the fact the Yukata’s are sold outside and it may get very crowded it might be hard for you to find the right color obi to go with your yukata. My favourite place: Nakamise Dori. Nakamise dori has multiple shops selling Yukatas in different styles and pattern and offer a wide variety. When I was shopping in Nakamise Dori, I strolled through 4-5 Yukata shops not really finding anything which suited my ideal Yukata, but the 6th store I walked it I immediately fell in love. For only 4000-5000 yen I bought my Yukata, which I am so proud of till this day. I wear it to special occasion and I get so many compliments. I love my Yukata. I recommend anyone looking for a nice Yukata to visit Nakamise dori at least once. Another shop in Asakusa is located in Shin Nakamise Dori, which is a recycle kimono shop called Tansuya, which has various Yukata’s more aimed towards the Japanese shopper instead of the tourists. If you want to have a more traditional design, this is the place to go. The Cheapest Kimono/Yukata Rental you’ll ever find in Tokyo, Kyoto, and Osaka!